!!!! !We interrupt your regular programming to bring you a breaking story!!!!! Rawla here from BPSim News with a breaking story. 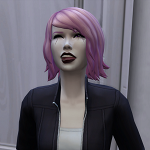 Insanity in Willow Creek! Locals are calling this strange and somewhat disturbing event as "just plain nuts". Others are admirable of what they call the young couple's "bravery". Some say it is a 'mission impossible'. Whatever this is, the Allens are keeping quiet with no comment. But here is what we know so far from what we could discover. Leo and Hollie Allen moved to Willow Creek and took over the largest plot of land after the previous owners [and their home] disappeared mysteriously. No foul play was seen to exist at the time. At first this couple was alone. But now children are beginning to appear. First three, then another and another and yet another. They seem to keep coming without end. Reports state that their family size is growing by leaps and bounds. A baby boom if you will. We know not the details of why this is taking place or for how long it will last. Some of the neighbors are blaming the local water source. Some are claiming aliens must be involved. Stay tuned, for we will not rest until we learn more about this mysterious event taking place on the Allen Estate. Last edited by Rawla on July 31st, 2018, 9:10 pm, edited 12 times in total. Hey a 5:2 ratio is better than a 8:3 ratio! 5:3 ratio now. Things are looking better! !! !We bring you an update from the Allen Estate!!! Speculation had been growing about this strange baby boom at the Allen Estate. Some began to wonder if this family was trying to begin an amazon tribe of only women. It was a far fetched idea but with each passing female that survived into childhood and seen heading to school, it began to make a crazy sort of sense. Until recently. The matriarch of the Allen family herself came outside briefly in the autumn weather for a quick walk around the grounds. In her arms was an infant clearly dressed in the colors of a male. Was this showing a deception to try and quiet this rumor or could this really be fact? The Allen family remains a mystery to most. A very intriguing mystery. Stay tuned as we continue to try and find out more about this rather unusual family. Last edited by Rawla on July 29th, 2018, 3:11 pm, edited 1 time in total. From what we've gathered, there is concrete evidence that no amazon tribe is being established on the Allen Estate. Another young boy was seen following the brief sighting of the other. And now another girl as well. What we do know: This family is having a LOT of kids. What we don't know: Why? Maybe we'll never know. Stay tuned. The boys are just being slow about coming along. Mine came in spurts, groups of one gender, then groups of the other. Somehow they managed to even up at the end. I'm loving this challenge very much! I might actually be able to finish this one. I have hope! lol As for the boys catching up, its possible I suppose. I just hope I don't end up with 20 of one gender and 11 of another. You're doing such a good job! You're quite brave to attempt this on the Sims 4 I did mine in TS3. Good luck! I'm rooting for you! Thanks Livvielove! The first triplets were very difficult, but when they grew to teens and could help with their younger siblings things started to ease up a bit. Its still crazy playing a full household (mostly) but its fun to see all the kids. Leo, as part of his aspiration, had the wish to have a child get married. So... 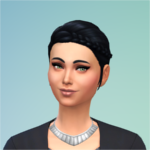 I downloaded a Sim into the family in edit worlds. It corrupted my save file. Guys...my challenge is gone. noooooo!!!! Have you tried loading a previous version of the game? mojot89 wrote: noooooo!!!! Have you tried loading a previous version of the game? I was stupid and did not have a back-up save for them. There automatically is previous versions. Select that and you can load a previous version. OH! I found something on the load page!!! In the bottom right corner is a 'recover save file'! I clicked on that and it gave me about 5 options of past saves for this save. I'm about to find out if it works. Edit: It didn't work. The save I chose 15 minutes before this current one also shows that message. I'll try another.